Thanksgiving is a day and time to be grateful for all the good received and accomplished by and for each one. It actually stems from the celebration at Inner Levels by Divine Beings for Their Gratitude for what They were enabled to do for mankind and the Earth, especially through receptive individuals in embodiment. Since ancient times, this darkest time of the year approaching the winter solstice was celebrated - especially in northern climates with long winters - as the "Festival of Lights" – many candles, torches and fires burning in cabins, lodges and temples. The reason for the season was quite simply to bring more light to dark times. The Ascended Host have appropriated this period of time as the "Seven Sacred Weeks" - beginning on the American Thanksgiving Day and continuing for 48 more days through the Christmas holiday season and into the first part of January. At this time the Cosmic Hierarchy participates in releasing a great outpouring of Light onto the Earth and throughout humanity. During the Seven Sacred Weeks and the Christmas Season, the Cosmic Highways are opened. Ascended Beings from Higher Levels of Existence, planets experiencing Golden Ages, and Stars of Divine Perfection also come to Earth and give Their Radiation, thus adding to the Radiation of Those Ascended Masters already working with mankind and the Earth. By giving our attention and recognition to the Divine Beings of the Brotherhood of Light and God's Hierarchy, we give Them the Opportunity to pour forth Their Radiation. 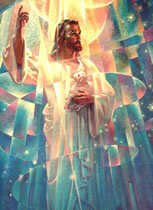 All of this expands the Cosmic Christ Divine Love of the Spirit of Christmas. Seasonal good cheer and Gifts of Love are based upon this Sacred Time when Cosmic Light Rays are being released to us from the Ascended Host. It is a tremendous Blessing to us and a great time to get more acquainted with the Ascended and Cosmic Beings that could assist us so much in our lives. If we appreciate and acknowledge Their existence, we draw Them closer to us. Their ability to intercede in our lives would be so much greater if we only became aware of our Blessed Brother and Sisters in Eternity! Remember that it is by first loving our own I AM Presence and giving recognition to our own Immortal Identity that we can then call on the Ascended Host for assistance in our lives and in helping to raise the Earth and humanity. For seven weeks - 49 straight days, we have the Glorious Opportunity to join together with the Ascended Host to receive greater Releases of Divine Love and Joy upon the Earth. 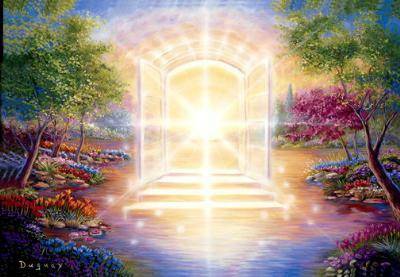 This Sacred Season creates an "Open Door" between the lower three octaves of Earth (physical, emotional, and mental) and the Ascended Master Octave - as well as even Higher Levels of Perfection! Through the power of our attention and our Gratitude, we may receive Their Gifts of Divine Momentum, Their Activities of the Sacred Fire, and Their Enfolding Divine Love. 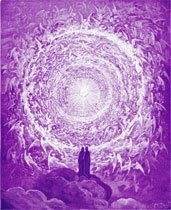 The Ascended Masters, the Archangels, and the Cosmic Beings come to teach us how to be One with our True Self - the Mighty I AM Presence, and how to blaze the Sacred Fire into our lower bodies (physical, emotional and mental). The Sacred Fire is used to free ourselves from the human consciousness and to pierce the veils of limited human perception - into our God Consciousness. This especially involves the dismantling of one of the last major veils: the false belief of a duality of good versus evil. We must allow the Divine Consciousness of the Higher Mental Body, our own Pure Christ Mind, to be in conscious control of every thought, word, and deed in our everyday lives. We will then experience the Christmas Spirit everyday! The Ascended Masters, through The Temple of The Presence, announced in 2011 the inaugural Festival of the Firstborn Light! 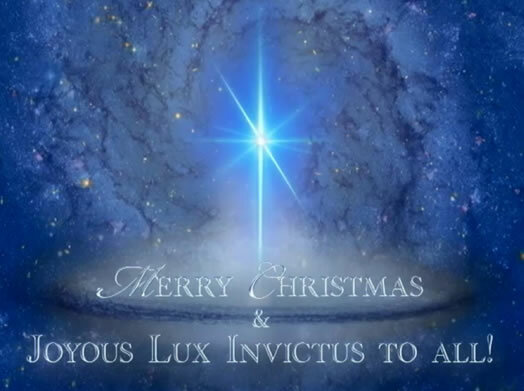 The Great Brotherhood of Light led Sons and Daughters of God worldwide in celebration of LUX INVICTUS, Festival of the Firstborn Light! This first ever Lux Invictus Eve is remembered as one of the most special moments in the history of the New World Religion. It marked the beginning of the celebration of the Holy Days of the Golden Age. The Festival of the Firstborn Light, held approximately at Winter Solstice, is the celebration of the Consciousness of the One Light, and honors the glorious birth of the Self-Luminous Light of each one's Beloved Mighty I AM Presence! The Great Divine Director has spoken about the sacredness of the many expressions of celebration of the Birth of Light and what the celebration of its inception meant for the Earth and the Victory of every Son and Daughter of God. Each Lux Invictus Eve, we honor the Light of our Mighty I AM Presence and the Light of The One with the Ritual of Light. All who attend dress in white and bring a clear crystal goblet to participate in this Ritual. This Service will be broadcast live over the Internet.